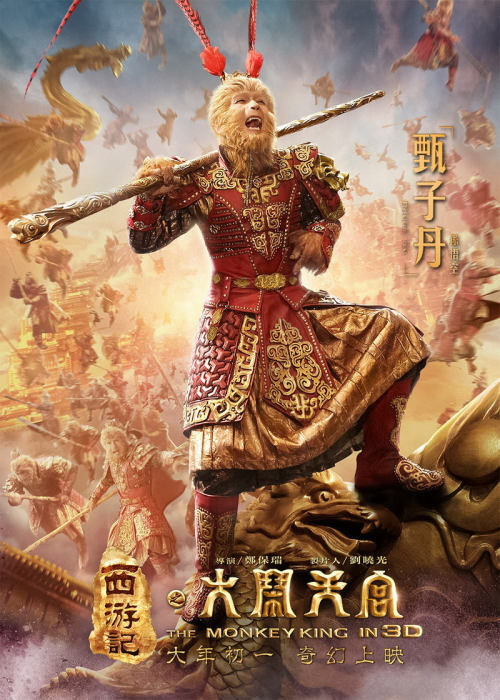 Making exciting-looking posters has become stuffing as many copies of the Monkey King as we can on it while also preferably using a battle scene as a background. Much delayed and highly anticipated film The Monkey King in 3D starring Donnie Yen, Chow Yun-fat, Aaron Kwok, Joe Chen, Peter Ho, Zhang Zilin, among others has released production goodies, hopefully signifying that this newest release date will actually be the real one. The Monkey King is yet another spinoff of Journey to the West without the actual journey, this time focusing on the Monkey King wrecking havoc in the heavens. Trailer below, second trailer here, behind-the-scenes here, and character posters below the cut. See the rest of Jiang XIn’s photo shoot a few sets below the cut. 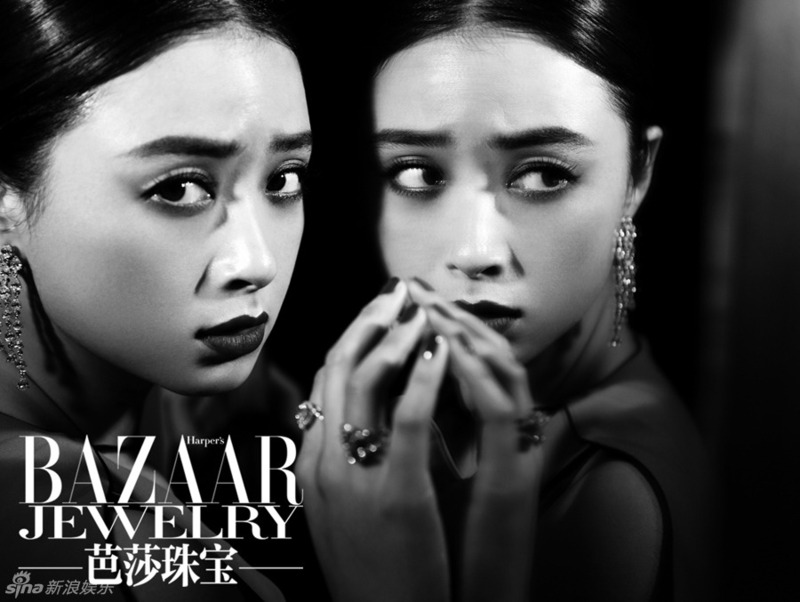 Who makes you want to buy jewelry from Bazaar more, Jiang Xin or Angelababy? Jiang Xin has some lovely photos in this set. She, like Tang Wei, is dressed in a somewhat vintage style; others, like Zhang Zilin, Zhang Ziyi, and Jing Tian deck out in long and sweeping dresses. Tong Liya looks like a lady, while Yang Mi wears a few more wedding dresses. Li Fei’er goes for a more sultry look, while the only male Wei Chen looks like a member of the Lost Generation (to me). 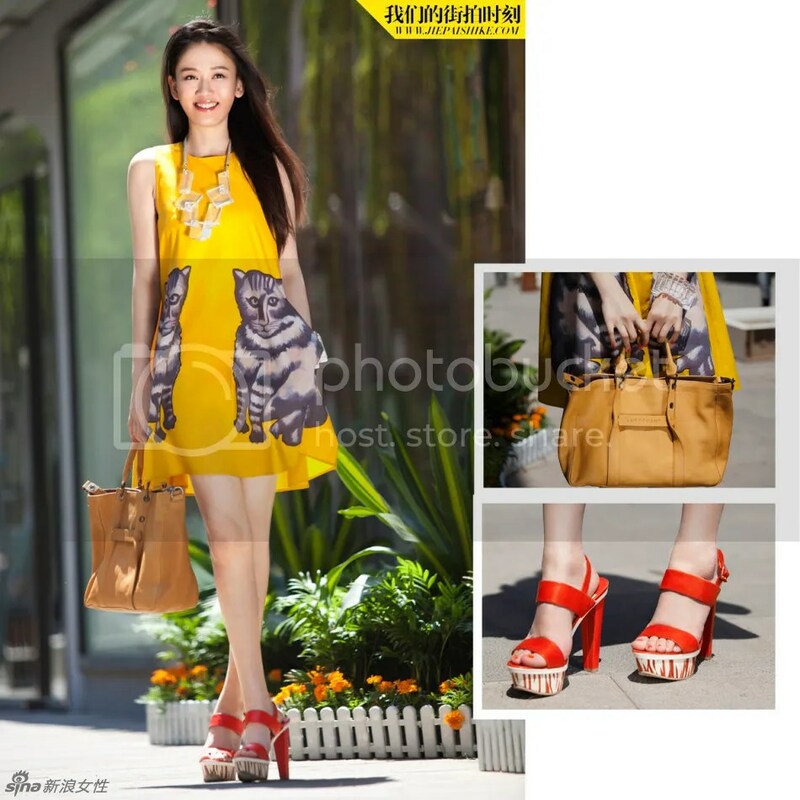 Sunny clothes and sunny smile for Joe Chen Qiao’en. As summer comes to an end – August is gone already – fashionable c-celebs end it in style. (Or really, Cfensi introduces you to their pretty clothes so we can slide out of that season with style). Look below the cut for Wang LIkun, Nicky Wu, Ma Su, and more. See Benji, not everyone’s afraid of dating a woman who’s over 6 feet tall. 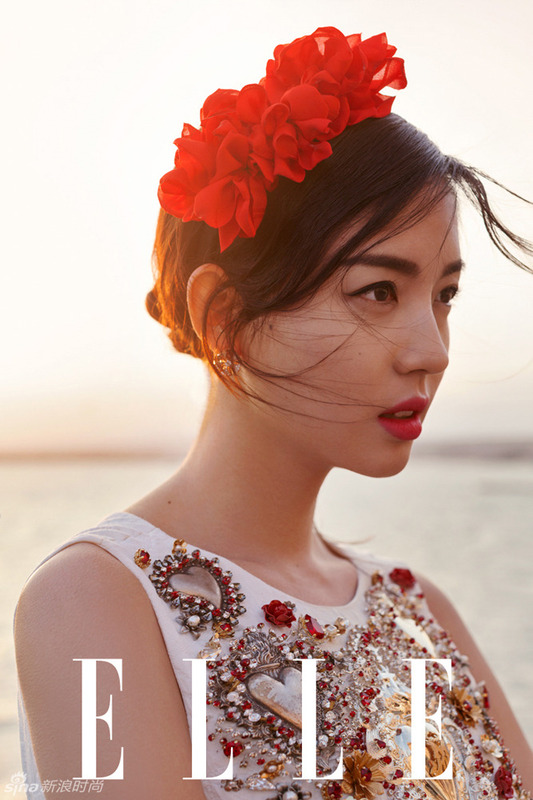 Former Miss World and now actress Zhang Zilin recently got married to a handsome young manager, with Femina there to photograph all the prettiness. Zhou Xun models the pose you should follow in order to embark on your adventure. I don’t know anything else about her but this particular request reminded me of another request, by another commenter to translate Miss World 2007, Zhang Zilin‘s blog entry in defense of Chinese hurdler Liu Xiang, which deeply impressed me when I read it; it was beautifully written. Not to mention that she took her time to write an essay about the matter because she could help, and I think that’s the beauty of these “beauty pageants”, they find people who in general love helping others. So I’ve put the translation below the cut, and I also talk about the difference between Miss World vs Miss Universe as it pertains to China. The reigning Miss World was in Johannesburg, South Africa with seven Miss World contenders for the FIFA world cup to assist with the draw that sorts teams into groups for the tournament next summer.